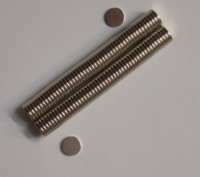 DangerousMagnets - C0601___Diam 6mm x 1mm N45.Qty100 for sale! • 6mm diameter x 1mm thick. • Pull/Push: About 300grams to another magnet or to 0.6mm sheet steel. Resistance to sliding is about 1/3 that. Stack 2 for twice the pull. 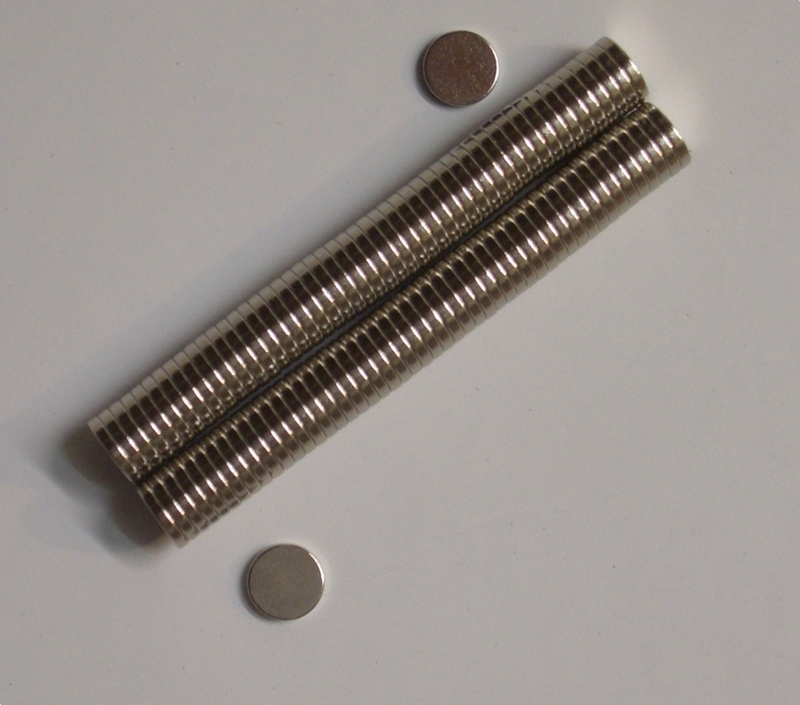 • One magnet holds 3 sheets of A4 paper on a whiteboard. • For even more strength, consider my D8x1.5, D10x1.5mm or D12x2mm or larger. • Latches and closures, eg on small boxes. • You're welcome to change your order to 2 half-packs &/or add half packs. Just ask and I’ll send a revised invoice.